Please always take a closer look at any competition or freebie or such that you come across. Almost all are scams and you may be opening up yourself, your friends and family to fraud or abuse. Most redirect you to sites designed to convince you to give away information about yourself or others or even access to your accounts themselves – stealing you passwords. Here’s a little example to help you spot a fake. 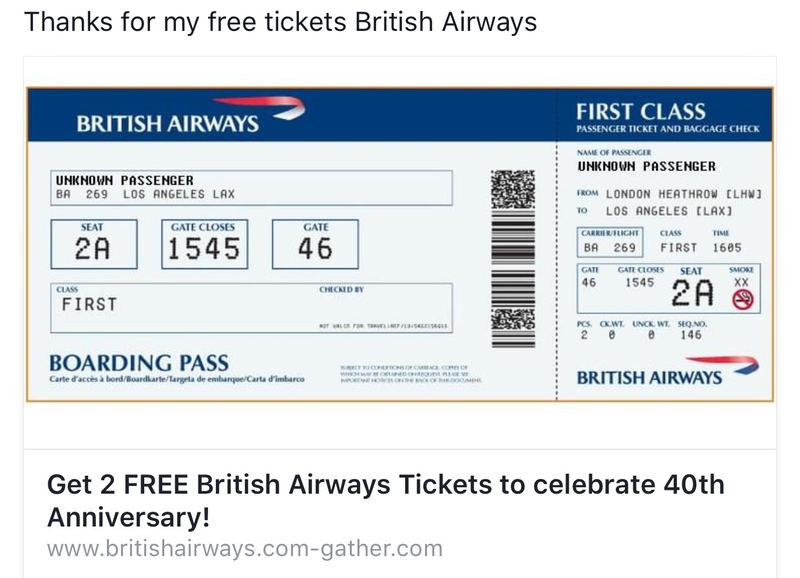 This BA hoax looks quite legit. The link takes you to a site and a pop-up page. In both screenshots you can see that the website is not BA but a new site “com—gather•com”. The idea is that users don’t look hard enough at the link to notice the bit after “britishairways”. And it is easy to miss. We all need to stay vigilant and careful. I strongly advise anyone not to complete any such survey. Also, don’t click either the “OK” or “Cancel” buttons on the pop-up. Instead, close the browser using the “X” in the top right hand corner. 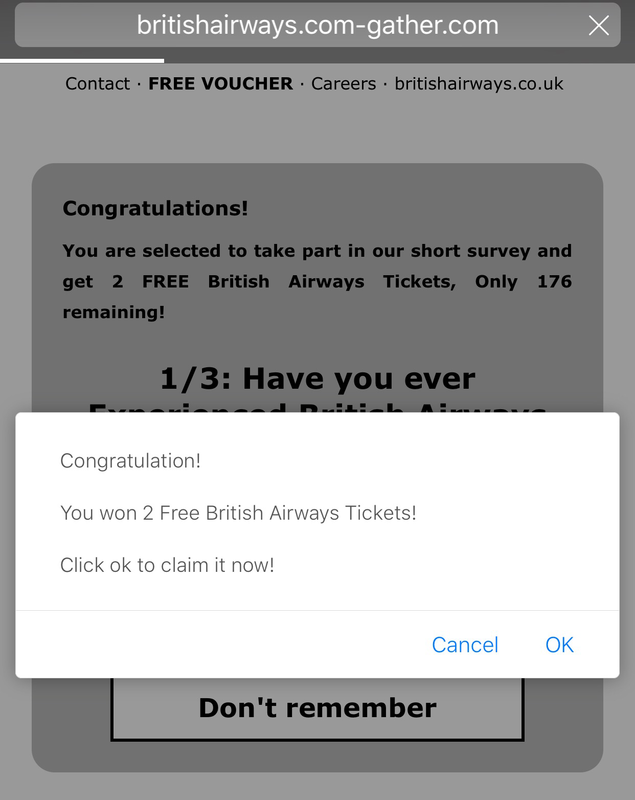 On a desktop computer these pop-ups can be frighteningly difficult to be rid of so it is essential that you do not click without checking the website address first. You can get stuck in a loop, unable to close the window or he pop-up or even with your computer being redirected in future to malicious sites. Keep your antivirus and operating system up to date. Consider a second line of defence, like anti-malware or anti-exploit on top of your antivirus. « Forget dead man’s shoes, what about his fingers?